The U.S. Missile Defense Agency has awarded Raytheon a contract modification to develop a transition to production process to incorporate Gallium Nitride, or GaN, components into existing and future AN/TPY-2 radars. This initial effort will support the transition from Gallium Arsenide to GaN technology, which would further modernize the ballistic missile defense radar and drive down system obsolescence. 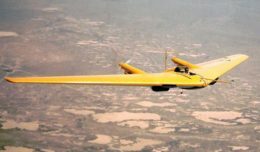 As demonstrated in other Raytheon-developed military radar applications, Gallium Nitride has the capability to enhance range, increase detection and discrimination performance and lower production costs. Currently fielded AN/TPY-2 radars use Gallium Arsenide (GaAs) based transmit/receive modules to emit high power radiation. Raytheon and MDA are pursuing a retrofit approach to leverage Gallium Nitride elements. 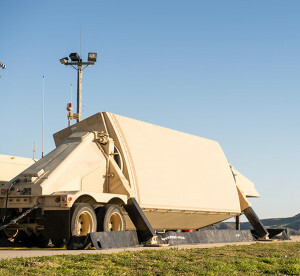 The AN/TPY-2 is a transportable X-band radar that protects civilians and infrastructure in the U.S., deployed military personnel, and allied nations and security partners from the growing ballistic missile threat. According to recent Congressional testimony by the director of the U.S. Missile Defense Agency, the threat is growing as potential adversaries acquire a greater number of ballistic missiles, increase their range, incorporate countermeasures and make them more complex, survivable, reliable and accurate.